There are fewer star performers in this year's Aggressive Winter Portfolio – that was until March when no less than three of the five constituents each gained around 8%. Ignore Mark Twain and Benjamin Disraeli's reference to "lies, damned lies, and statistics", our stats demonstrate that some stocks do far better during the winter months than others. They're reinforced by the performance of interactive investor's winter portfolios, which have beaten the market every year since inception in 2014 and are on course to repeat the feat in 2019. Already up 14% in the first four months of this six-month trading strategy, our Consistent Winter Portfolio kept rising in March and has so far generated a 16.6% return, excluding dividends. Our higher-risk Aggressive Winter Portfolio did even better last month, up 4.6% to extend gains since end-October to 8.6%. Equity markets were broadly positive last month. The FTSE 350 benchmark index was up 2.4%, buoyed by progress in trade talks between the US and China, Chinese stimulus efforts, and a shift in Brexit discussions toward a ‘soft’ outcome. The threat of a no-deal Brexit, accidental or not, seemed not to bother investors who chased domestic indices to six-month highs. UK results season was broadly positive too. Research shows that buying and selling at two specific dates of the year has historically generated better returns than if you had stayed invested all year round. Indeed, buying a portfolio of shares on 1 November and selling it on 30 April has significantly outperformed over the last 24 years and provides a clear strategy for investors. Starting with £100 in 1994, investing only in the market between 1 November and 30 April every year would have turned the £100 into £327. By comparison, staying invested continuously would have grown the pot to £261 (excluding dividends), and investing only during the summer months would have left you with just £73 of the original £100. We adapted the theory to design two portfolios for different risk appetites, made up of liquid FTSE 350 stocks that have regularly outperformed over the winter months. 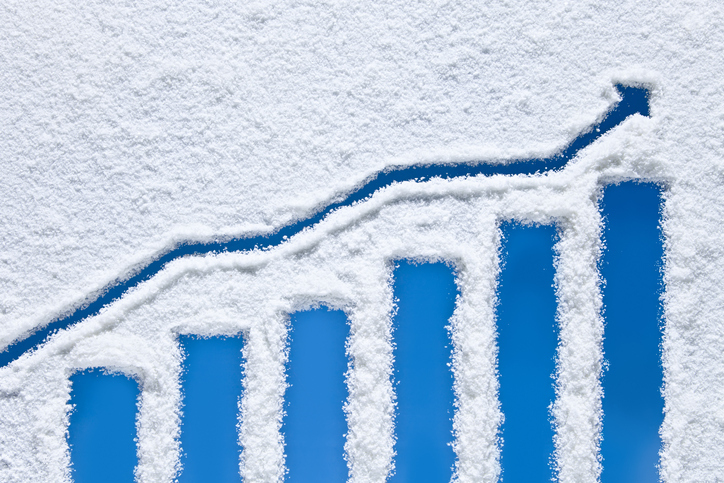 The Consistent Winter Portfolio is a basket of five shares that have risen every winter for at least the past decade. Stocks in the higher-risk Aggressive Winter Portfolio have risen during the same period 90% of the time. After a respectable 0.8% gain in March, pub chain and brewer Greene King (LSE:GNK) maintains its lead position within the consistent portfolio in March, up a staggering 37.9% since October. But despite its top dog status over the five months, Greene King was put in the shade during March by fellow high-flyer Hill & Smith (LSE:HILS). Despite an initial dip on its full-year results, better than expected earnings growth aided a 5.3% surge at the motorway barriers firm last month, taking winter strategy gains to 25.5%. Winter specialist Croda International (LSE:CRDA) was close behind. After a sluggish start to the winter period, the FTSE 100 manufacturer of specialist ingredients used in make-up, rose by 4.7% over the month. Croda has risen every winter for at least the past 14 years. InterContinental Hotels Group (LSE:IHG) booked share price gains in line with the benchmark index, and is now up over 12% since our winter strategy began. Bodycote (LSE:BOY), the heat treatment engineer that works for clients across the aerospace and automotive industries, reported full-year results largely in line with expectations, but there were some nice beats within the numbers. Aerospace, defence and energy impressed, while things could have been worse at the autos division. Services offices player IWG (LSE:IWG) has enjoyed a resurgence in popularity, certainly in terms of share price performance. Despite the competitive threat from rival WeWork's aggressive expansion, its proposal to sell parts of the business has been well-received. Winter favourite JD Sports Fashion (LSE:JD.) – top of the aggressive portfolio performers so far this year, up 23% - stretched its lead over the rest of the portfolio to within striking distance of a record high. Annual results are due for release on 16 April, and JD has a great track record of exceeding expectations. Clearly, plenty are betting it can repeat the trick. Any other month and Rightmove's (LSE:RMV) 5.8% monthly advance would have made the headlines. A drop in agency branches knocked the share price on publication of full-year results early in the month, but decent numbers overall and a more reassuring outlook quickly reversed the decline. The property website is still the second-best performer in the aggressive portfolio, up around 13%. Across both portfolios, only one stock ended March in negative territory for this year's strategy – Ashtead (LSE:AHT). Because the equipment rentals giant does so much of its work in the US, it is particularly vulnerable to any dip in economic sentiment there. Worries about the strength of the American economy triggered a rush for the exit despite promising third-quarter results. Bulls have returned since month-end.